Smart Beds: Do You Need One? A smart bed is a bed that uses a variety of technologies such as pressure and heartbeat sensors, temperature control, and auto-recline to gather data about your sleep and wake-up patterns, which it then puts to good use to help you achieve a better night's rest. As promising as that sounds, however, understand that the smart bed industry is still in its infancy, which means that there is no clear-cut narrative as to what a smart bed should or shouldn't do. It is simply a matter of doing your research and coming up with a mattress that suits you the best. In the absence of any clear-cut guidelines as to what a smart bed should or shouldn't do, a number of companies, most of which are still in their startup phase, have developed their own version of what smart sleeping technology looks like. Still, here are a few features that most smart beds share in common. Sleep Tracking: The ability to keep track how well you sleep is literally the most distinguishing aspect of a smart mattress as opposed to a regular one. Using a single sheet of "smart fabric" or several sensors spread throughout the bed, the smart mattress tracks a variety of information such as respiration, heartbeat, sleep restfulness and body pressure to determine how to give you the most comfortable night's rest. Temperature Control: Smart beds sometimes come integrated with a built-in thermostat, which allows you to regulate the temperature of the mattress during sleep. Air Chambers: Inflated air tubes inside the mattress come packed with pressure sensors that allow it to adjust to your body posture while you sleep. 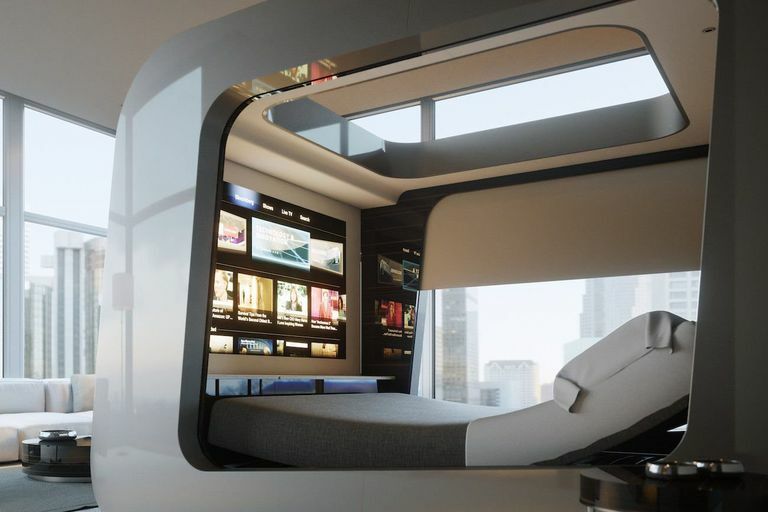 These air tubes can also be controlled remotely via the smart bed's own app. App Integration: Your smart bed connects seamlessly via the internet of things to a heap of other smart home gadgets and applications, including virtual assistants, thermostats, smart lights, coffee makers and television sets, allowing you to control all these different devices without ever getting up. Sleep Number: With features like effortless sleep tracking, inbuilt temperature control and a bed that adjusts to your sleep position all day long, Sleep Number is one of the earliest names in the smart bed industry. It's minimalistic, but it sure does its job. Eight Beds: While ReST and Sleep Number focus primarily on comfort and health, Eight takes convenience to a whole new level with smart beds that connect to a variety of smart home gadgets and appliances via IFTTT, synchronizing data and allowing you to control these devices from the comfort of your bed. HiCan Smart Bed: Unlike other smart beds, which are really just smart mattresses, HiCan's offering redefines the entire bedroom experience with a fully-featured sleeping pod with its own blinds, light bulbs, temperature control, sound system and television display. It's like walking into the future of urban homes. Sadly, it's priced steeply at an upwards of $30,000. Now that you know what smart beds really are and what exactly they can do for you, do you really need one? Probably not. Unless you already have a fully-featured smart home to install it into, a smart bed isn't an indispensable part of your daily life. If you do have the budget and curiosity about a better night's rest, a smart bed can be a welcome addition to an already smart home.